SECTION I – PROVISIONS COMMON TO THE TERRITORIES OF THE PARTIES TO THE CONFLICT AND THE OCCUPIED TERRITORIES. ARTICLE 32 – PROHIBITION OF CORPORAL PUNISHMENT, TORTURE, ETC. The principle stated in Article 27 of absolute respect for the human person might have constituted a sufficient guarantee for protected persons in itself. However, the memory of the barbaric acts of which there were only too many examples in the two world wars showed the need to strengthen this principle and to prohibit expressly all acts contrary to it. C. Corporal punishment and mutilation.- These expressions are sufficiently clear not to need lengthy comment. Like torture, they are covered by the general idea of “physical suffering.” Mutilation, a particularly reprehensible and heinous form of attack on the human person, is also included in the list of “grave breaches’ and is mentioned formally in Article 147 among “acts willfully causing great suffering or serious injury to body or health.” Furthermore, it is expressly forbidden by Article 3 of the Convention. 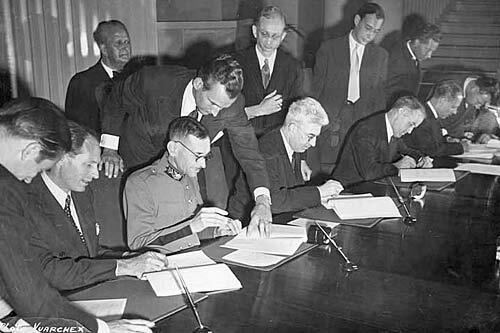 The four 1949 Conventions have been ratified by 196 states, including all UN member states, both UN observers the Holy See and the State of Palestine, as well as the Cook Islands. Will violations of International of International Law will send Israel to the ICC? Who or what is the ICC? The International Criminal Court (ICC), located in The Hague, is the court of last resort for prosecution of genocide, warcrimes, and crimes against humanity. Its founding treaty, the Rome Statute, entered into force on July 1, 2002. Mainly these three organizations have the legal authority to investigate, and collect evidence that can help to prove the allegations of human rights violations in the occupied territories, but due to the wide spread International Solidarity Movement, its members live in the occupied territories, are both; victims and witness of Israel crimes, for several years its member has been collecting evidence against Israel. The walls will fall from within! Israel has no hope, its leadership is crumbling down, their political figures start pointing fingers to each other for the state of affairs of the Zionist entity, the disbanding of the heads of the state will lead the Apartheid State to finally meet its end. The avalanche that started rolling in 2005 when the Boycott Sanctions and Divestment movement started to take form is rolling down stronger and bigger, together with the recent assault to the Gaza strip that left half millions homeless, indiscriminately high number of civilians killed have the eyes and ear of the world in Israel judging the ‘Jew State’ as the fascist dictatorship, the killing machine. Israel has been called Genocidal, psychopath that executed thousands of civilians in different events,, the latest this last summer that killed more than 2500 Palestinians. Israel list of extrajudicial killings is long, the number of victims in Palestine since Israel was inserted in the Middle East number in the hundred of thousands, the refugees in the millions. Over the years Israel color of victim have wore out to expose its true colors. Leftist MK Stav Shaffir (Labor), a former leader of the social protest movements, hailed Prime Minister Binyamin Netanyahu’s decision Tuesday night to disband the coalition government, firing ministers Yair Lapid and Tzipi Livni. “The time has come for the public in Israel to internalize that and act together with us to finally replace the government in Israel,” said the young leftist MK, who has vocally opposed the Jewish presence in Israel’s Biblical heartland of Judea and Samaria. Former Israel Security Agency (Shin Bet) chief Carmi Gillon on Saturday night launched a scathing attack on Prime Minister Binyamin Netanyahu and the Israeli government. “Israel is headed today by a bunch of pyromaniacs and is being led by an egomaniac to its final destruction,” said Carmi Gillon, who spoke at a demonstration by leftists protesting against the Jewish State Law outside the Prime Minister’s residence in Jerusalem. “The Jewish State Law will eat the body of the entire nation like a cancer. The continuation of the radical and messianist policy on the Temple Mount will bring about a Gog and Magog war against the Jewish people,” he added. This is the side of Israeli politics seldom seen by the western world and harsh words coming from a man who was once responsible for Israel’s domestic security. DemocracyNow.org – Amidst a spate of killings by Israeli forces of unarmed Palestinians in the occupied West Bank, we turn to the stunning Oscar-nominated documentary, “The Gatekeepers.” The film brings together six former heads of Israel’s internal security agency, the Shin Bet, collectively speaking out for the first time ever. They detail their methods against Palestinian militants and civilians in the Occupied Territories, including targeted killings, torture, recruiting informants, and the suppression of mass protests during two Intifadas. But in doing so, they also criticize the occupation they were assigned with defending, and warn successive Israeli governments have endangered their country’s future by refusing to make peace. We’re joined by the film’s director, Dror Moreh. Categories: Israel, Middle East, Occupied Territories, Palestine Tags: Benjamin Netayahu, Carmi Gillon, Democracy Now, The Gatekeepers, Yair Lapid and Tzipi Livni. October 19, 2014(Tehran, Iran)-After many ups and downs across the Rafah border and early the return of Hamas’s ideological father (Egypt’s Muslim Brotherhood) to the pages of history and consequently Hamas’s confusion against the region’s balance in that juncture, most experts acknowledged that this movement had stepped into a period of weakness and even annihilation in its history as political force. The unexpected departure from Syria of the leadership of Hamas, and its turn to the political-ideological front of traditional compromising states in the region, including; Egypt, Turkey, Jordan, Qatar, etc. from the one hand and Israelis’ spreading “red carpets” to this movement including suppling of cement and drinking water to Gaza Strip, giving more concessions to Gaza’s fishermen. besides, some of Israeli political and military officials comments like the Northern command on preferring Hamas over other factions in Gaza, this caused the future of the resistance in the region to be added to the other multiple puzzles in the Middle East.There is the possibility that many of the experts do not have any information about the military capabilities of Hamas or they have neglected it, because in the afore-mentioned juncture authentic news were broadcast about strained relations between Hamas and the Islamic Republic of Iran and even the two sides confirmed it. Therefore, very few people were thinking about the fact that in the very juncture, political and military deals were running between Iran-Syria and Hamas and even the political crisis I Egypt and Iran-Hamas disputes behind the doors had made the Zionists neglect the arms transfer to Gaza.Now, after the Zionists’ invasion of Gaza, the Resistance Faction’s advanced arms and offensive-defensive systems are conspicuously visible. In this regard, chief of Hamas’s foreign relations, Osama Hamdan remarks that the Resistance is of the readiness to continue the war for months even if Hams is the initiator of the next war with the purpose of taking the occupied territories out of the claws of the Zionists. In fact what is currently going on about Hamas can be mentioned as a tangible example of turning a threat into an opportunity. Gaza war took place under the circumstances where Hamas was held accountable by the Iranian and Syrian public opinions and elites for its performance about Syrian and Morsi’s Muslim Brotherhood government in Egypt. Therefore, since Hamas was aware of its defensive and arms advances, it was waiting for a chance to see its flag once again at the hands of the Resistance supporters in the region. Now, one can acknowledge that once again this flag has become an identity-constructing one and maybe it is for this reason that Hamas is not keen on putting an end to the war. Both Palestinian and Zionist analysts are of the belief that Israel-Hamas wars have been like a never-ending series and will continue as episodes. The time and place and characters change, but according to the definition of episode “place and time of the characters change, but the players and the main subject do not change.” Now, the place of war has been shifted from air to land and the characters from the air force to the land force. So, knowing this, Hamas is going to have more interventions in the scenario of the war of 2014 in order to write its script for its favor. Hamas is going to prolong the average interval of its wars against the Zionists from a couple of years to a decade at least. The war of 2008, Gaza siege in 2010 and the war of 2012 and also the recent war of 2014 are indicative of a 2 year pattern in the intervals of the cease fire which is to be changed. In the unwritten goals of the Zionist officials, the notion of a severe war against Gaza with the purpose of achieving a more prolonged peace and security had been applied which can confirm the bi-directionality of the mentioned goal. Hamas is keen to show that without Syria and Egypt’s spiritual and geopolitical supports, it can continue its resistance and proceed with a draft of getting out of war without the intervention of the Palestinian Authority, Qatar, Turkey, Jordan and Egypt’s new system. Of course, Hamas should know that the present and upcoming victories may once again intoxicate them and cause them to make the same mistakes as they did in the political sphere in connection with Egypt’s Muslim Brotherhood. Hence, there is no doubt that the independence of Hamas should be the top priority of pro-resistance countries; but by the time it is fully achieved, assistant wheels should be relied on. Concurrent with the war of 2014, Hamas temporarily got out of the socio-economic crisis it was suffering from. Not payment of the employees’ salaries, striking growth of poverty and unemployment and Gaza people’s social dissatisfactions were among other major issues which had put Hamas in a weak position. But, now concurrent with the war, not only it is not accused as the initiator of misfortunes from the domestic and international point of view, but it is introduced as a savior. With surprising psychological and military achievements in the war of 2014, the resistance factions have managed to get the ticket of a powerful return to the region. All in all, as expected, the war of 2014 like the previous ones turned out to be short, because in less than ten days serious proposals for cease fire were offered mediated by Egypt which were supposed to be accepted immediately by the resistance factions as in the previous wars. But we had argued that a cease fire in less than 10 days had depended on the reaction of the resistance factions and these factions seized the new chance in which there were a shortage of mediators and less pressure from the previous compromising Islamic states and thus, they prolonged the war as long as they got more concessions. The victory of Gaza Children against IDF in 50 days Gaza-imposed-war! Therefore, a historical victory for the resistance factions due to their steadfastness on the continuation of the war it happened and today we can see fresh eyes on Gaza after 50 days typhoon. Now we can yield and praised the victory of Gaza’s children against IDF. So the new generation of Gaza is known as the Palestine future Iron Domes. Possibly, the next episode of the Zionists’ war against the resistance factions will take place underground, under the land of the prophets and we should wait some new defence systems by Israel as the Underground Iron Domes. Occupied Ramallah, 20 August 2014 – The Israeli Military Governor in the West Bank has signed a military order expelling Palestinian Legislative Council Member and Addameer board member Khalida Jarrar to Jericho for a period of six months, with immediate effect. *Write to the Israeli government, military and legal authorities and demand the military order expelling her to Jericho is revoked immediately. *Write to your own elected representatives urging them to pressure Israel to revoke the military order. The building in the picture marked ‘Al-Wafa’ hospital is in fact not the el-Wafa hospital but the Right to Life Society, says palsolidarity.org on their web side. On July 11, Israel’s army fired four ‘warning’ missiles at the roof of El-Wafa rehabilitation hospital in Gaza City, Gaza. International volunteers now staying in the hospital in solidarity, have said they, “can hear missiles falling close by”. “The civilian population of Gaza is being bombed. We will stay with them in solidarity until the international community and our governments take action to stop Israel’s crimes against humanity.” States Swedish International Solidarity Movement (ISM) activist, Fred Ekblad. On July 18, At 21:45, the Israeli military called the Red Cross and asked them to contact el-Wafa to ask how much time was needed to evacuate the rest of the hospital. Alashi told them that he needed two hours to fully evacuate the hospital. The last shelling occurred at 22:00 and the last patient was evacuated at 22:45 to Al sahaba medical complex. Palestine has no army, for such, The whole of Gaza population is under the protection of IV Geneva Convention, and International Humanitarian Law. Palestinians in Gaza have been suffering a long blockade from the outside world, such blockade, was placed by Israel and enforced in part by Egypt by closing Rafah crossing, which it is the only other border to the outside world. Palestinians in Gaza see the siege to the Strip worse than a direct war at them, the siege of Gaza is a slow death. A truce with Israel that does not include end of the blockade is only temporary cease of fire. Fishermen are harassed everyday by Israel boats that illegally patrol Gaza’s waters. Fisherman are confined to a 3 nautical miles to fish. “Why did you break the 3 mile limit?” an Israeli soldier asked him. “During Oslo, we were allowed to reach 20 miles so why do you prevent us from going past 3 miles? These 3 miles not enough,” Al-Hesy responded. Jerusalem Post published on last week an Egyptian proposed cease of fire that many in Gaza believes to be Israel crafted, such cease of fire agreement was rejected by Hamas for the simple reason that they were not invited to participate in the conversations and the cease of fire does not help to end the conflict in Gaza at all, it is simply temporary cease of fire. Historically Israel has broke every cease of fire signed when continues with the target assassinations on Palestinian leaders in Gaza and around the world, the latest target assassinations during negotiated cease fire Mahmoud al-Mabhouh, on January 19, 2010 and Ahmed Jabari who Hours before to be assassinated, he have received the draft of a permanent truce agreement with Israel, which included mechanisms for maintaining the cease-fire in the case of a flare-up between Israel and the factions in the Gaza Strip. I leave you to reflect on the words of Benjamin Netayahu included in a book he co_authored in 1986, in his words he explain exactly why Israeli actions against the Palestinians are carried out. He is doing exactly what he said in 1986. Benjamin Netayahu best known by Bibi in 1986 co-authored a book called TERRORISM How The West Can Win. In the Chapter “Defining Terrorism”, you find the following statement.